මව්බිම පුවත්පතේ යං generation අතිරේකයේ 21/02/2017 දින පලවූ මේ ලිපිය අරුත්බර අදහස් මෙන්ම Mora Hiking Club එකට අලුත් වටිනාකමක්ද එක් කලා. Hiking is not just climbing a mountain but exploring. Hike to Brandygala was my second experience of a hike. In order to succeed a hike companionship and togetherness can consider as two main pillars other than strength or fitness of the body. Except climbing exploring the ecosystem and animal behavior, photography, adventuring are major goals of a hike. 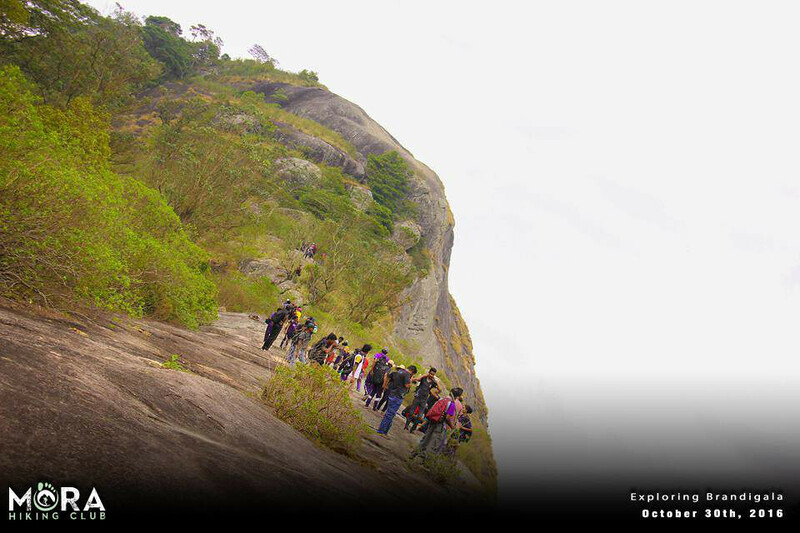 Our main target was to climb and explore Brandygala mountain range. Since it was established as the main goal photographing, drawing, and adventuring can consider as sub targets. During a hike the expectations of people are different from each other. They’ll get the taste of a hike by different ways. It is a great opportunity to identify various ways to enjoy the hike. From the beginning onwards it was a fresh experience and a challenge. It has become more challengeable because I was in the middle of our semester end examinations. But due to the fever of hiking and adventuring I participated to add another wonderful memory for my memory album. Most of the faces were new for me due to the participation of all 4 faculities. It was a challenge to deal with new friends. From the start of the hike I have started for hunting new friends and they have become friendly through the hike.